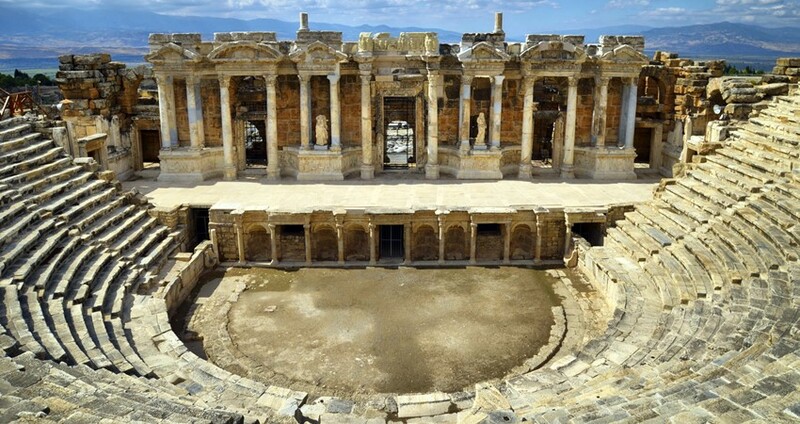 You can see the available dates for Marmaris Pamukkale Tour. Please use the booking widget to make reservation. Join our Marmaris Pamukkale Tour and enjoy a day in one of Natural Wonders of the world. Crafted perfectly by nature’s own forces, Pamukkale is one of the most unique tourist destinations in Turkey. Local people call it ‘the Cotton Castle’ for a good reason. The place hosts a huge mountain, completely dressed in white color and the visitors are stunned by this mesmerizing sight, this place is also listed by the UNESCO as a World Heritage Site. Pamukkale is located 210 km north-east of Marmaris, this journey is about 3 hours with our comfortable, air-conditioned buses. 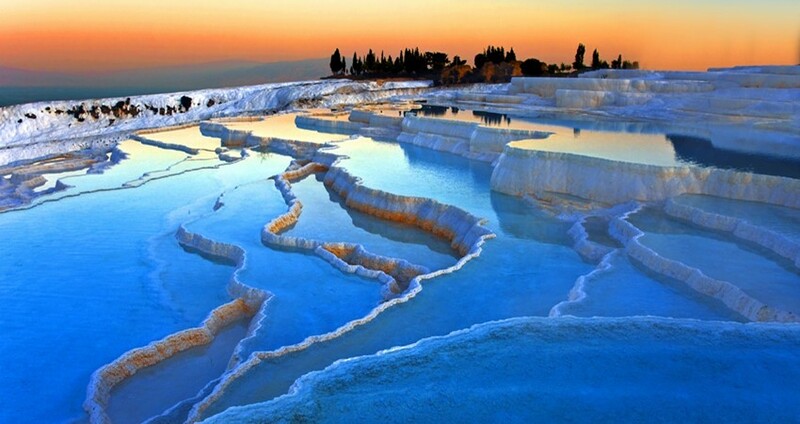 Pamukkale houses huge rocks of stalactites, caves, mineral baths, warm water pools and many cascading streams. 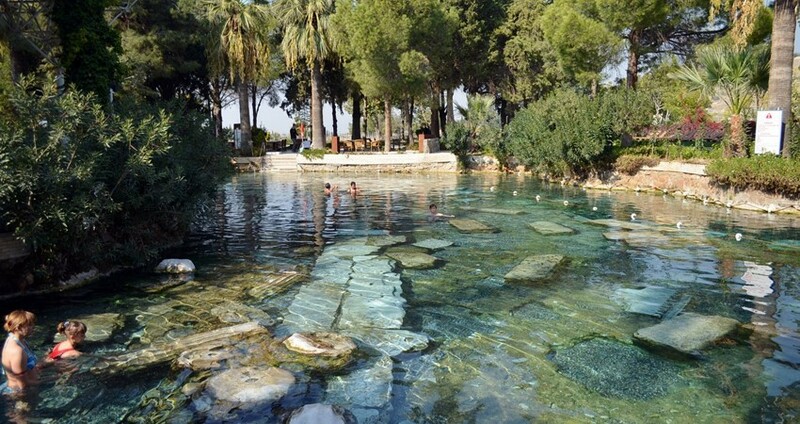 The hot springs have a typical attraction of their own, both in summer and winter seasons. Many tourists love bathing in natural hot springs with their family and kids. You can enjoy your time both with nature and history. 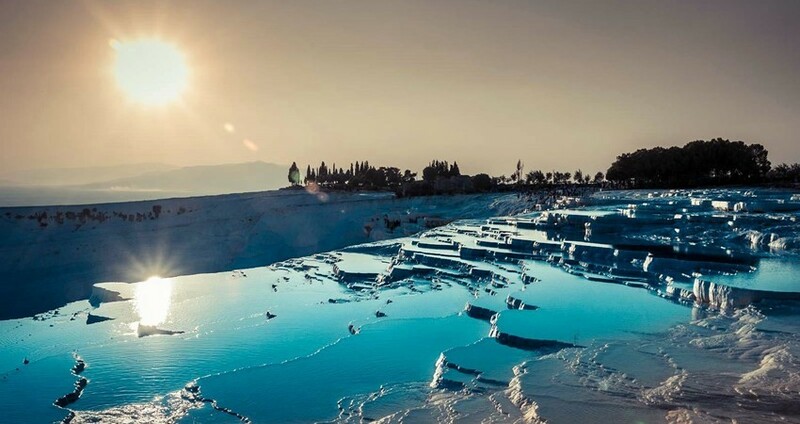 Since the ancient Roman times, the outskirts of Pamukkale was crowned a name as Hierapolis, meaning “THE HOLY CITY”. 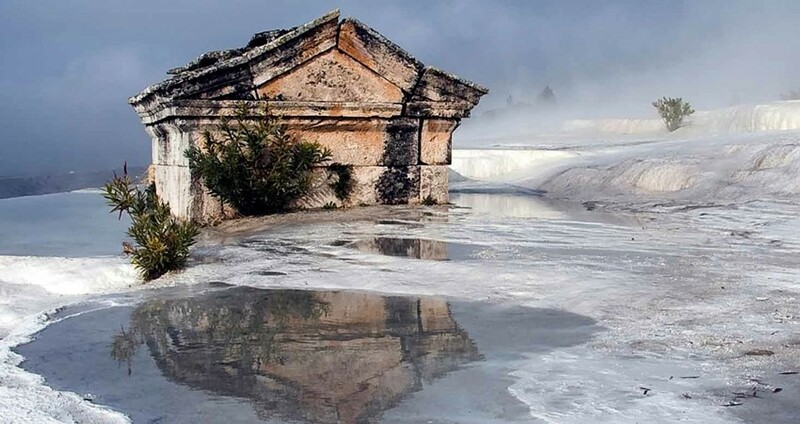 Hierapolis had got this nickname because of the many temples and the healing powers of the hot springs in the region. On arriving to this beautiful, natural and historical site, our tour guide will explain in detail everything you need to know about this place. Following this, you have a 3-hour free-time to explore the area on your own! Depending on your interest you can decide how make use of this 3-hour time. 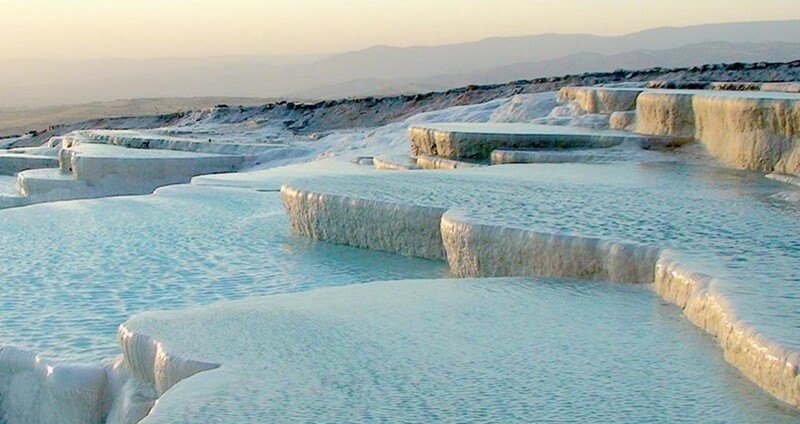 You can walk on the white cliffs of Pamukkale or take a refreshing warm bath. 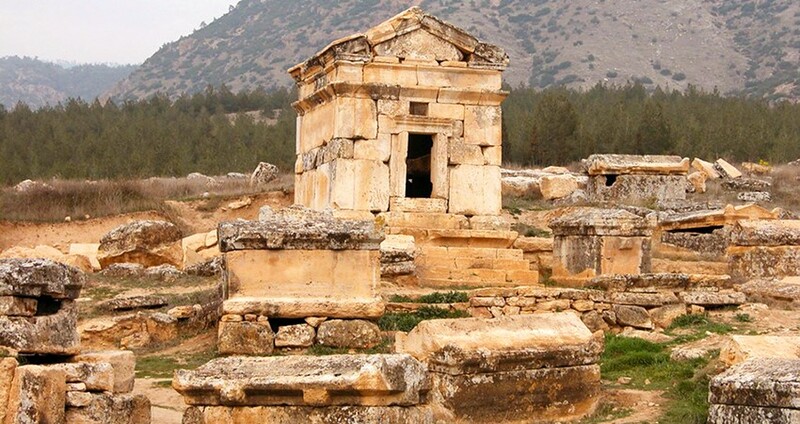 You may choose to visit the historical remains of Hierapolis & Necropolis; or take swim in the famous Cleopatra’s Pool. Or you can do these entire options one after the other. The 3-hour free-time is all yours, plan to use it wisely! A poet rightfully defines Pamukkale as – “a passage where nature truly meets history”. Our tour guide along with you is always there to unravel the stories of past, and of monuments left today as ruins. 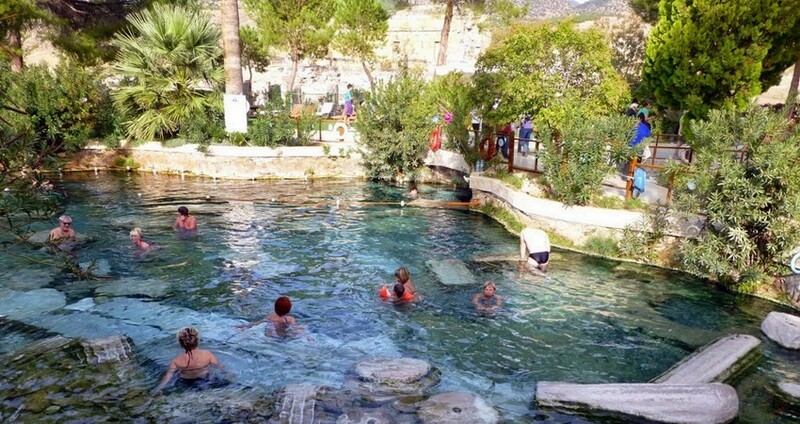 Indeed Marmaris Pamukkale Tour is a very special one and hence you may not afford missing it on your holiday in Marmaris. This excursion has free hotel transfer. Please be ready at the main entrance gate of your hotel. Towels, Swimming Costumes, Sun Cream, Sun Glasses, Camera, Comfortable Clothing, Comfortable Shoes, Hat. 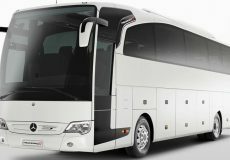 Open Buffet Breakfast, Open Buffet Lunch, (English Speaking) Guiding Service, Hotel Transfer, Full Insurance, Air Conditioned Bus, Entrance Fees to Pamukkale. Drinks, Personal Expenditures, Cleopatra's Swimming Pool. Our Marmaris Pamukkale Tour gives you a superb opportunity to enjoy the scenic beauty of Pamukkale. This UNESCO World Heritage Site is a place you must never miss visiting. It’s a full day tour of 13-hour duration and you will thoroughly enjoy the entire tour. Our professional and friendly English speaking tour guides will be on your side for the whole of the tour duration. 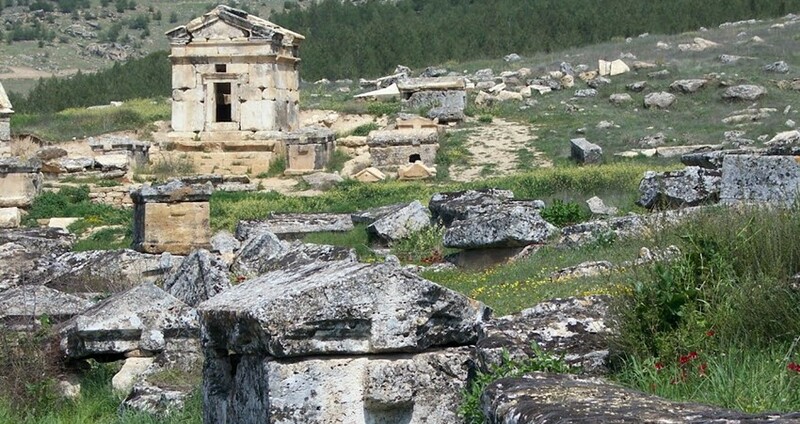 Along with Pamukkale, the tour includes visits to the sites at Hierapolis and Necropolis. Hotel transfer, breakfast, lunch and all entrance fees are included in the tour price. You don’t need to pay anything extra for these services. It has been a long day so far and we spent a lovely few hours at Pamukkale and the Thermal Pools. It was busy next time i will get the 2 days tour to visit Pamukkale in the morning. Really a fascinating place and great fun to paddle in these white pools. 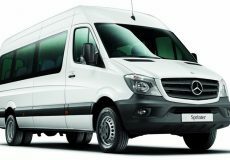 Brilliant tour service provided by Marmaris Travel. We had 3 excursions with them and all were good. Everything was done exactly as what was written on the website. We had little 2 kids with us, they also loved this experience. We are a family of 4 people all together and every single member of our family enjoyed these tours. We were not rushed at all, lots of time was given to as we needed to take pictures. Friendly people, lovely food and sights! Thank you very much for making our holiday really special. How long is the drive from Marmaris to Pamukkale ? The total distance from Marmaris to Pamukkale is 210 km, which means a three hours drive. 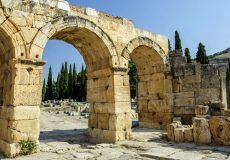 What should i bring to Marmaris Pamukkale Tour with me ? We always remind our guests to bring Sun Cream , Sun Glasses, Camera, Comfortable Clothing, Comfortable Shoes and Hat for this excursion. But also don't forget your swimming costume and towels as you will have a chance to swim in the hot thermal spring waters of Pamukkale. How long we will stay in Pamukkale ? 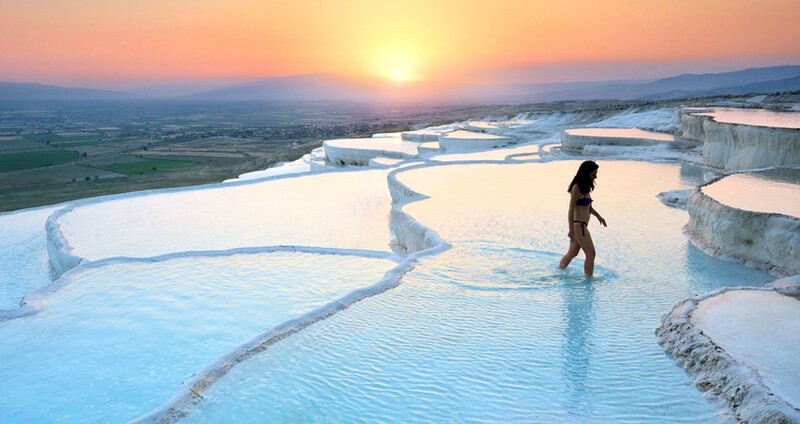 The total time that you will spend in Pamukkale is 3 hours. Can kids join this excursion? Yes for sure. They will have definitely great time in the thermal water pools. After our departure from Marmaris early in the morning, we will stop in the province city Mugla for the breakfast. We offer open buffet typical Turkish breakfast with (boiled eggs, cheese, tomatoes, different kinds of olives, butter, honey, different kinds of jams and fresh Turkish bread. You can also pick up of tea or coffee of your choice as a drink.) Remember that your breakfast is in the price you paid, so you don't need to pay any money for the breakfast. A long bus drive awaits you after your breakfast. We use comfortable & air-conditioned buses during this long drive. 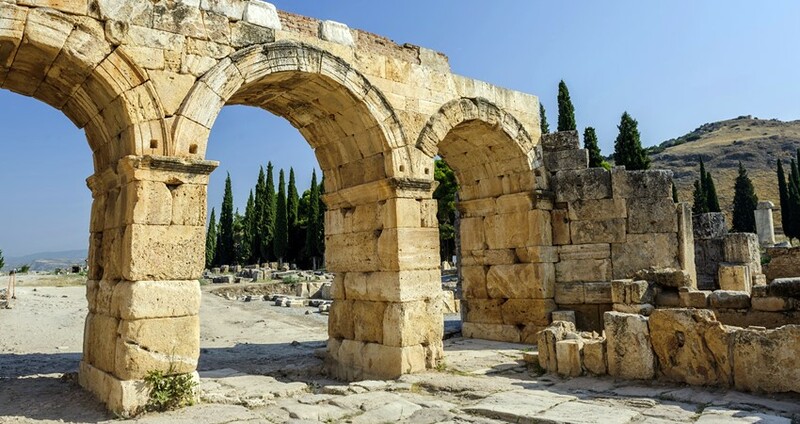 As soon as we arrive to Denizli we stop for 30 minutes comfort break, where you will have the opportunity to use facilities like toilets and find some refreshments. 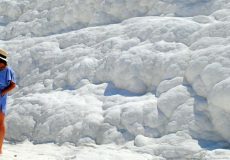 This is the right time and place to make your self ready for your visit to Pamukkale. The total time that we will spend in the Pamukkale is 3 hours . 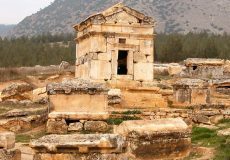 In our Marmaris Pamukkale Tour you will have the opportunity to walk through the remains of the city of Hierapolis with your tour guide. You will hear the stories about history, culture, daily life, ancient architecture, mythology etc. 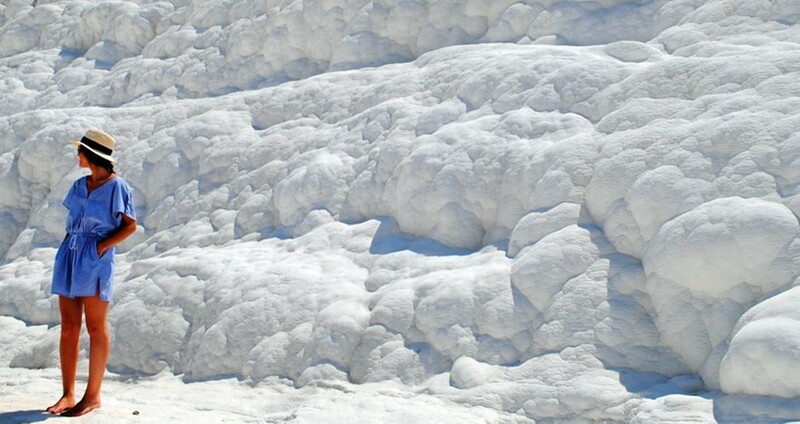 You will have also free time to explore the white clifss of Pamukkale and take dip in these hot thermal waters. Cleopatra's pool also an option to swim but don't forget that you need to pay for the entrance of this pool. After your visit to the ancient city of Pamukkale a delicious open buffet lunch is ready for you. In our fancy restaurant you will have 10 different kinds of cold starter plus a large range variety of main course options where you can find also some vegetarian food. Sweets, fruits & fresh Turkish bread is also in your menu. Don't forget that your food is included in the price but you need pay for your drinks here. We expect to arrive back to Marmaris at about 19:30 in the afternoon. As soon as we arrive back to Marmaris we will drop you back to your hotels as we picked you up in the morning. 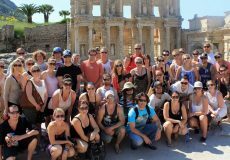 Some of the important facts and useful information about " Marmaris PamukkaleTour "